The first thing that you need to do before any new installation on your Joomla website, is to create a full backup of your files and database. This will allow you to restore your website to it’s working state if anything goes wrong with the new module installation. For more information on that, you can review our article on How to create a full backup of your Joomla website. The Kunena extension is one of the most popular components designed for Joomla. It has more than 3 million downloads and it provides a forum section on your existing Joomla website. You can download the extension from the official Joomla extensions section. You need to select the Communication category and then Forum. Then simply review for the Kunena extension from the list on the screen. The installation of the Kunena extension is standard. We do have an excellent tutorial on How to install and uninstall extensions in Joomla. 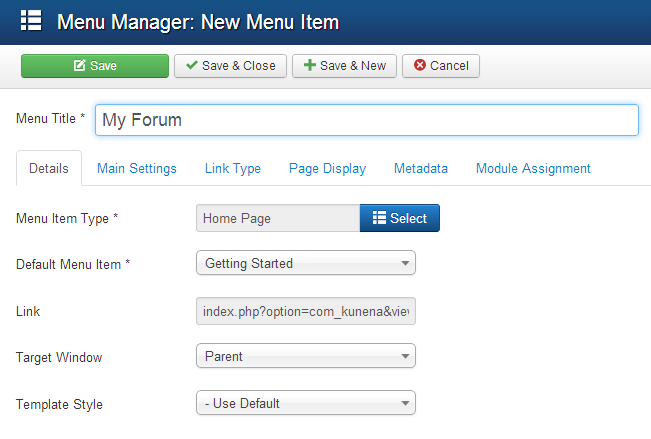 Log into your website as administrator and navigate to the Components tab from the top menu and then Kunena Forum. You will be presented with a large number of different options that you can edit in order to configure the Kunena forum as per your needs. For the purpose of this tutorial, we will not cover all of them, however, we will guide you through the process of enabling the module and displaying it on your website. Forum Title - Enter the name of the forum. 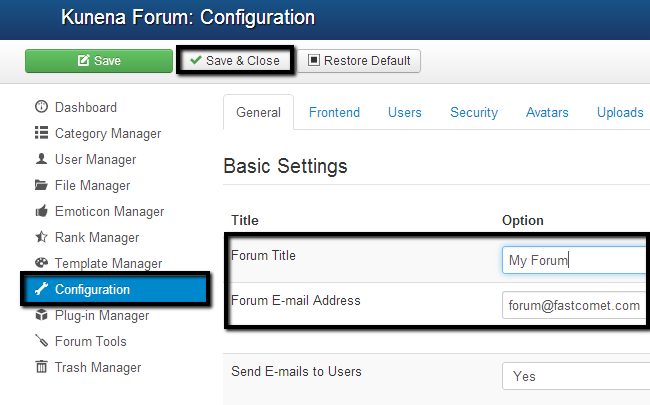 Forum E-Mail Address - Enter the default email addres for your forum. Click on the Save & Close button to keep the changes. The forum is now configured. 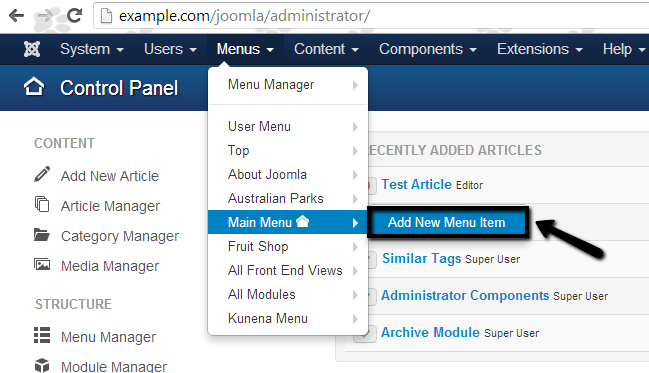 however, we would like to place a link for it within the main menu on the Joomla installation. To achieve that, you need to click on the Menus tab from the main menu and then Main Menu>Add New Menu Item. Menu Title - Enter the name of the new menu item. 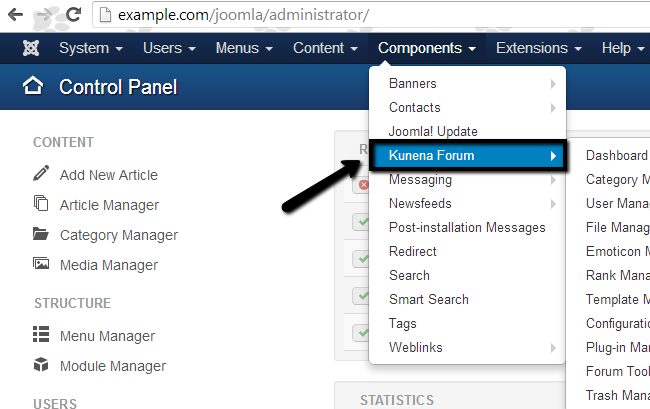 Menu Item Type - Click on the Select button and choose Kunena Forum > Homepage. Click on the Save & Close button to keep the changes.